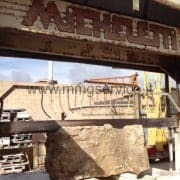 In this page you will find a list of used monoblade machines available for sale for marble and stone cutting. 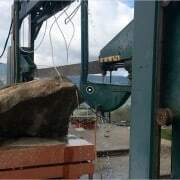 Monoblade gangsaws are used for stone cutting and block squaring / dressing. 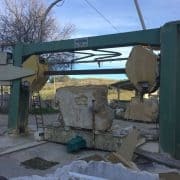 Monoblades are suitable to cut marble and soft stone, for granite cutting nowadays it’s suggested to use a single wire saw. We can also recondition these monoblades in order to get a machine in great shape and in full working condition. 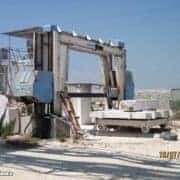 Please note that these machines come from bankruptcies or companies who updatef their production line so you can find a good machine for a very reasonable price. 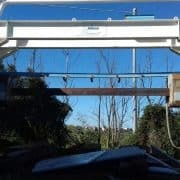 To give you a complete service we manage dismantling and loading on truck or container. The machine is complete with trolley. It is possible to recondition the monoblade Pedrini in our workshop. 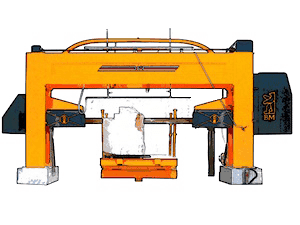 Useful cut size: 3500 x 2000 mm Blade length: 4100 mm Rotating trolley included Complete refurbishing is possible on request.